I know many of you have pets such as dogs, cats, fish, birds, hamsters, or maybe if you have lots of room even a horse, goat, or sheep. Pets are lots of fun but a big responsibility too. We have to make sure they have plenty of food and water. They need to be kept in a safe place that is clean, and if they get sick, we might have to take them to the veterinarian to get some medicine. Pets need love and attention, as well. They love us, and we love them. When I think about having a pet, it reminds me of something that Jesus said about Himself. In John 10:14-15, He said, “I am the good shepherd. I know my sheep, and my sheep know me. Just as the Father knows me, I know the Father, and I lay down my life for the sheep.” A shepherd is a pet owner – a person who takes care of sheep, usually a lot of sheep. Sheep do not take very good care of themselves and need someone to watch over them and make sure they don’t get lost. They need someone to protect them from harm. They know their shepherd’s voice and follow him. Jesus said He knows His sheep, and His sheep know Him. He said that He was even willing to lay down His life for those sheep, so He must really love them a lot! Well, as you might guess, Jesus wasn’t talking about actual sheep. He was talking about you and me; we are the sheep of His pasture. He loves us; He takes care of us; and He makes sure we are protected and have what we need. He was even willing to give His life so that you and I could live with Him forever in heaven. That is real love for us all. Jesus died on the cross, so our sins would be forgiven, and we could be His disciples. Just like you are good pet owners and a good shepherd takes care of his herd of sheep, Jesus is our shepherd and takes very good care of us too. Ask you Mom or Dad to read you Psalm 23 in the Bible. It says more about the Lord being our shepherd and what that involves. Let’s say a short prayer. Jesus, thank You for being our shepherd and taking such good care of us. Most of all, thank You for loving us so much that You laid down Your life on the cross so we might have everlasting life with You. In Jesus’ name we pray. Amen. 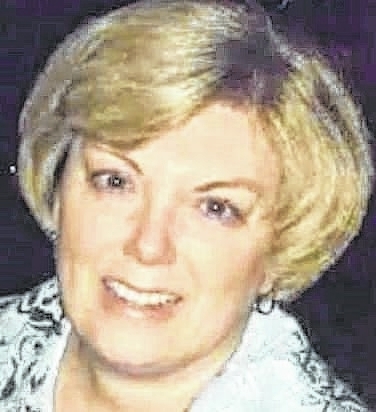 Ann Moody is pastor of Wilkesville First Presbyterian Church.